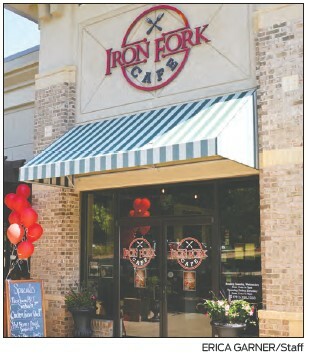 Chris and Katie Bragg opened the Iron Fork Café in July 2017 without making a fuss of it. “We just flipped on the sign,” Katie said. 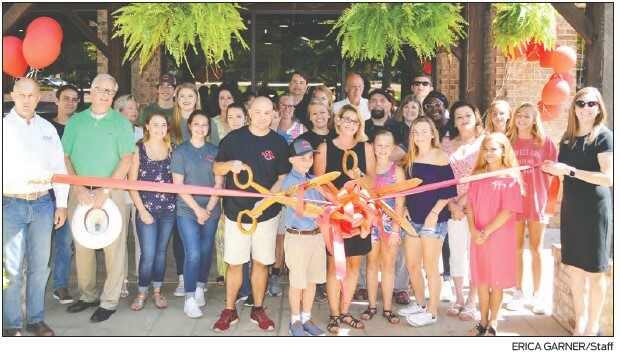 Instead, they waited one year to have their grand opening and ribbon cutting ceremony on July 26, 2018. The Braggs have both been in the restaurant business for a while now, working for Chris’ mother, who owns the Yesterday Café in downtown Greens­boro. Chris was head of the kitchen while Katie ran the front of the restaurant. The Bragg family as a whole has owned a total of four restaurants, including the original Yesterday Café in Rutledge, the Yester­day Café in Greensboro, a breakfast and lunch café called Broad Street Grill in downtown Greensboro that Chris and Katie owned for a couple of years with his mother, and now the Iron Fork Café. The Braggs decided on the location of the restau­rant for a few reasons. 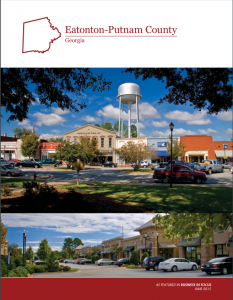 The location was evenly placed between Greensboro and Eatonton, making it easily accessible to residents of both cities. They loved the plaza and patio, Chris added, and that the space can seat over 100 people. The community hopped on board with this new restaurant fairly quickly. It was not long before the business was up and running full speed. The café’s customers and staff all varied in their favorite dishes. Sriracha shrimp and fried green tomatoes were amongst the most loved entrées. Katie’s favorite item is the Iron Fork Steak Sandwich, which consists of steak medallions, grilled onions, swiss cheese and a demi glaze on an open face sandwich. The Iron Fork Steak Sandwich was chosen this year to be on Explore Georgia’s “100 Plates Locals Love” and was the only dish chosen from Putnam County. Because the first year was such a success, the Braggs have big plans for the next year.